RICHTER ENTERPRISES develops cost efficient Lucite applicators for the glass industry for different line speeds and application width, customized to the specifications and desired level of automation. Our powder sprayers apply the separating powder homogeneously on the glass before stacking. Customers desire our powder applicators for the efficient use of powder, reliability and to overcome safety concerns connected to manual application of the powder by the operators. RICHTER’s Powder Applicators have been used for a wide variety of interleaving powders: organic powders like ground walnut shells and non-organic separating powders of different chemical compositions and grain sizes, like Lucite with adipic or boric acid. 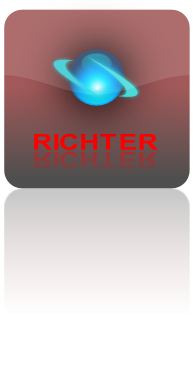 Richter also provides separating powders to the glass industry, made by GLE. Main advantages are the low cost of the original equipment, the reliability and maintainability, and the minimal cost of ownership. These economical values have opened the door for the use not only on the cold end of float lines and after low-e coating but also on smaller volume tempering and silvering lines. Our powder applicators can be easily installed due to complete assembly and check-out before shipping and the amount of powder can be adjusted by the operators due to an much improved control interface. The powder coating machines provide a fine layers of interleaving powder on float glass lines for protection against staining during shipping. On Tempering Lines and Coating Lines the powder applicators are coating separating powders on the glass to protect against scratching. The powder makes it also easier to unload the glass off the racks.